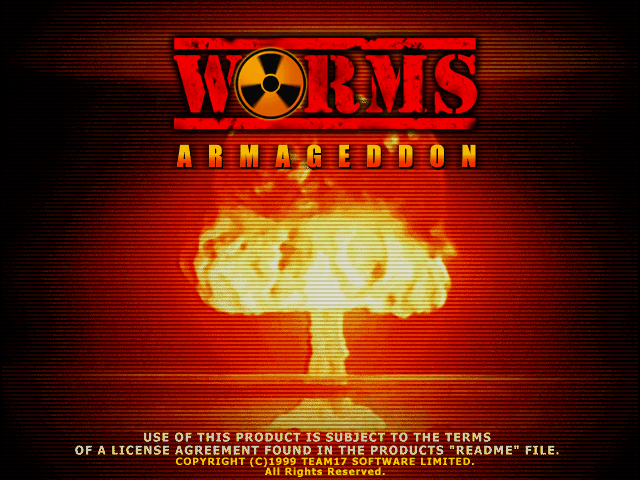 Difference between revisions of "Worms Armageddon"
Released in 1999, it is widely accepted as the most successful game in the Worms series. After a few updates (up to version 3.0), Team17 lost interest in updating the game. A few years later, however, they recruited [[Deadcode]], a talented programmer who showed interest in the game, and even provided a 3rd-party solution ([[Silkworm]]) to make the game compatible with Windows 2000/XP. Deadcode has been writing software updates since then. He was later joined by [[CyberShadow]], in September 2006. After an update (version 3.0), Team17 seemed to lose interest in updating the game. A few years later, however, they recruited [[Deadcode]], a talented programmer who showed interest in the game, and even provided a 3rd-party solution ([[Silkworm]]) to make the game compatible with Windows 2000/XP. Deadcode has been writing software updates since then. He was later joined by [[CyberShadow]], in September 2006. The latest version of the game is '''3.6.26.5''', released on '''5 January, 2006'''. Worms Armageddon is a strategy game developed by UK-based company, Team17. It was originally developed as an expansion pack for Worms 2, but as the project grew larger in scale, it was developed to be its own game. Released in 1999, it is widely accepted as the most successful game in the Worms series. After an update (version 3.0), Team17 seemed to lose interest in updating the game. A few years later, however, they recruited Deadcode, a talented programmer who showed interest in the game, and even provided a 3rd-party solution (Silkworm) to make the game compatible with Windows 2000/XP. Deadcode has been writing software updates since then. He was later joined by CyberShadow, in September 2006. The latest version of the game is 3.6.26.5, released on 5 January, 2006.